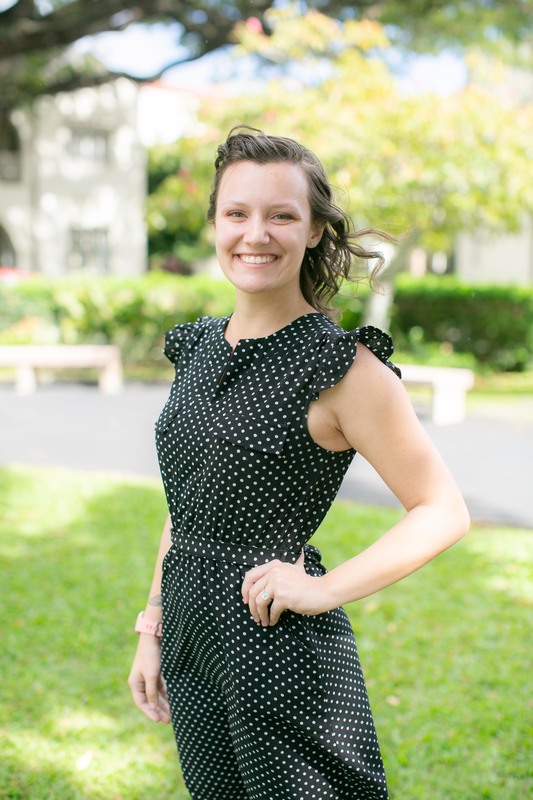 Julia Lazaroff teaches 4th and 5th grade math and science at The Priory at St. Andrew's Schools (SAS). Ms. Lazaroff has been working with children for the past decade and has been teaching at The Priory for two. Prior to joining SAS, Ms. Lazaroff worked as a 1st and 2nd grade multiage teacher at Mountain Bay Elementary School in Weston, Wisconsin. She's also worked at a YMCA child care center in Wisconsin, tutored elementary students and worked at several summer camps as a camp counselor. Originally from Wausau, Wisconsin, Ms. Lazaroff earned her bachelor's in Elementary Education from the University of Wisconsin – Stevens Point. How did you get into teaching? What made you want to pursue the career? "By the time I was in the 2nd grade, I knew that I wanted to be a teacher and by high school, I was taking classes to pursue that dream. I went into education because I value the power that education has. There were some rocky times in my childhood and I found stability in the classroom during them. While I was in high school, my mom was pursuing her college degree and I saw just how transformative an education was for our family. By going into education, I wanted to provide the stability that I needed when I was younger to my students – whether that's with a smile in the morning, a set class routine or being a comforting adult when a child is having a hard time – while also helping them achieve their dreams." 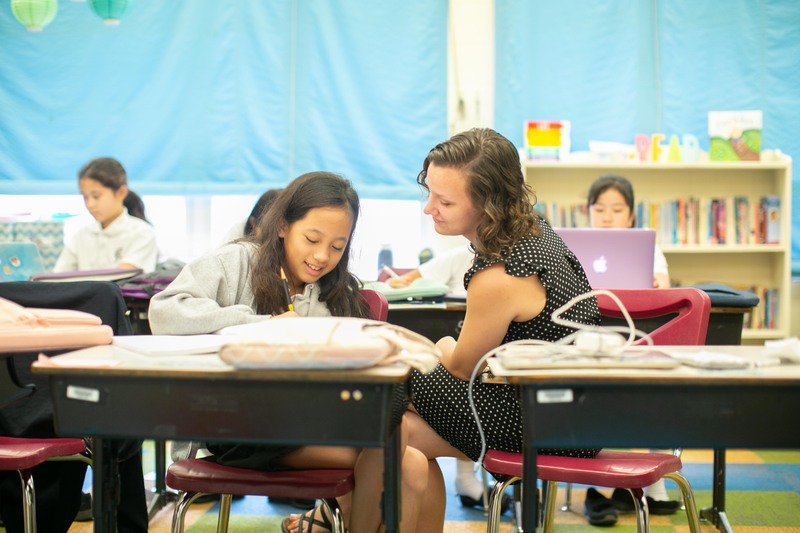 "My favorite part about teaching is building relationships with my students, especially in my current position because I have the 4th grade students again as 5th graders. We're able to really get to know each other which allows me to connect the content to their specific interests in a really valuable way." What do you currently teach? What have you previously taught? "I currently teach the 4th and 5th grade girls' math and science. At Mountain Bay, I taught all subjects." What is a current goal and/or project you are working on? "I'm currently taking a course on arts integration. I have enjoyed the challenge of bringing the arts into the classroom, and changing STEM to STEAM, as a way to engage students and allow their creativity to flourish while still teaching math and science. In May, I will be a certified arts integration specialist and I'll be able to pass the skills I've learned onto other teachers who want to give arts integration a try in their own classrooms." What is the best part about teaching at The Priory? "The best thing about teaching at The Priory is the people. Of course, our students are great, but so are their families, my colleagues and my administration. I love coming to work every day and seeing everyone's smiling faces. The close-knit feel at this school is very welcoming and supportive." "My mom and my grandpa (because I can't choose just one). They both worked hard to raise my little sister and I through some difficult times for our family. My grandpa is my father figure, and my mom is the strong, independent, female I strive to be." What is the best advice someone has given to you? Who was that person? "When my mom had to drop me off at the airport before I flew to Hawai'i. As she was hugging me, she whispered in my ear, 'Don't look back.' And I haven't. Although I miss my family in Wisconsin daily, I don't regret moving so far away from my hometown. It's amazing how much you can grow as a person when you're away from all things familiar." What is your wish for your students? "As any teacher, I wish that all my students find success and happiness in their life and in the 'real world' when they get there. As a 4th and 5th grade teacher, I know I have a long time before I get to see my students on the news for amazing things but I know I will, and I look forward to that day." What is one interesting thing people may not know about you? "I was a competitive cheerleader for 10 years! I cheered from 3rd grade all the way through high school and was the captain of my high school's team. I even competed internationally on Team USA in Australia and New Zealand." "At home, I hang out with my pets, run, knit and bake. I also like visiting coffee shops and beaches and going on different hikes around the island." "In Hawaiʻi, I live in Pearl City with my husband, our cat Shiva, and our sheltie Cleo. In Wisconsin, I grew up in the country with my little sister, mom, grandpa and a plethora of pets, including ducks, cats, dogs, frogs, hamsters, and many others that I'm sure I'm forgetting!"